2 Fraser, ed. Antonia, The Lives of the Kings and Queens of England , New York: Alfred A. Knopf (1975), 25, 71. 3 Luther, George A., editor and compiler, The Luther Genealogy: A History of the Descendants of Captain John Luther, Who Arrived in the Massachusetts Bay Colony, 1630-1635 , Penobscot Press (2001), 80. 4 Roberts, Gary Boyd, The Royal Descents of 600 Immigrants to the American Colonies or the United States , Baltimore: Genealogical Publishing Co. (2008), 374, 377. 5 Roberts, Gary Boyd, The Royal Descents of 900 Immigrants to the American Colonies, Quebec, or the United States (2 vols.) , Baltimore: Genealogical Publishing Company (2018), 944, 963. 6 Weis, Frederick Lewis, et. al., Ancestral Roots of Certain American Colonists Who Came to America before 1700, 8th Edition , Baltimore, Maryland: Genealogical Publishing Company (2004), 25. 7 Weis, Frederick Lewis, et. al., The Magna Charta Sureties, 1215: The Barons Named in the Magna Charta, 1215 and Some of their . . ., 5th edition , Baltimore, Maryland: Genealogical Publishing Co., Inc. (Third Printing, 2006), 26. 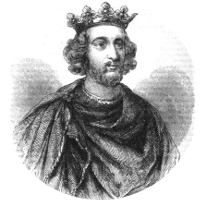 8 Wikipedia, "Henry III of England", (accessed 03/02/2012).